Even as the election season mercifully draws to a close, the media keeps churning out articles that remind us of the dismal state of the American voting system. The left-wing and the right-wing media trade competing conspiracy theories, preparing their narrative to explain the loss of their favorite. The United States is an exceptional nation, but it is not always exceptional for good. The American voting system too is an exception: It is the most error-prone, the most susceptible to fraud, the most vulnerable to unfairness and one of the least technologically sophisticated on earth. Frum is correct to point to a non-partisan election administration as a key factor for efficient and trustworthy voting – no gerrymandering there. His other observations may be a tad superficial. For example, what does it mean to be the “least technologically sophisticated”? Germany uses no technology whatsoever — all ballots are on paper and counted manually on site, and yet there are usually reliable results available within the hour after closing the polls. And a lot of additional factors make elections in Germany more robust: reliable voter rolls, a multi-party system, a voting system more aligned with the popular vote, just to name a few. But the key issue really is trust. It is not simply that the elections are run by civil servants, but that they are trusted to do the job right. While civil servants may be belittled as narrow-minded, slow, inflexible bureaucrats, few people would doubt their integrity and their allegiance to the constitution. In the United States, however, government employees tend to be seen as accessories of the government’s evil scheme to strip citizens of their God-given rights. And as some of the forum comments on Frum’s article make clear, a nationwide harmonized voting system would be seen as even more of an influence of the federal government over the states. And that’s where, once again, a principle dear to the American public will get in the way of a more pragmatic and efficient solution: The right of every state to establish the most inferior voting system in the nation shall not be infringed upon. 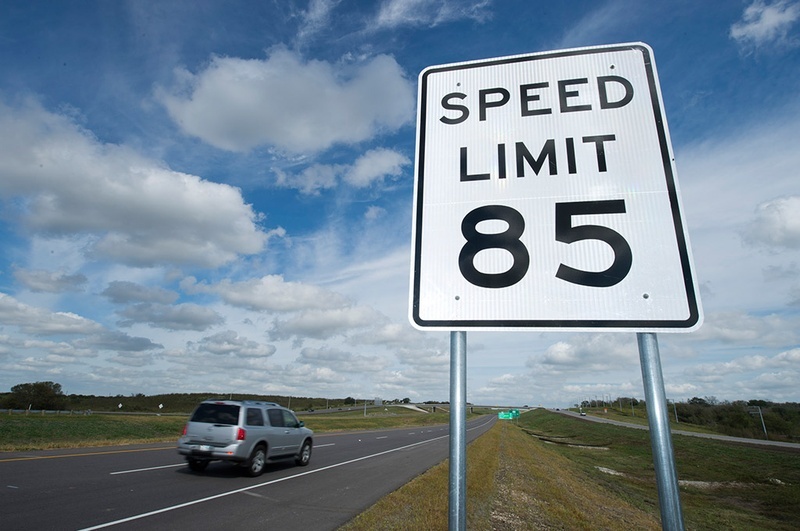 Americans, as a rule, are a fearless people, except when it comes to driving faster than 55 miles per hour on their ridiculously wide open roads. 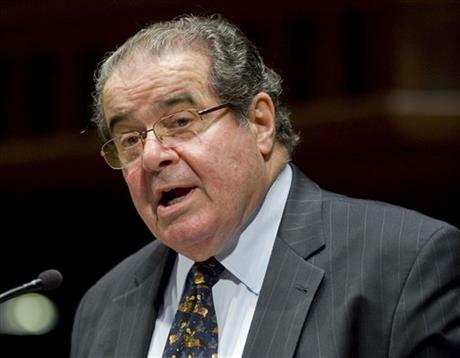 Scalia said the Constitution makes changing it too hard by requiring 38 states to ratify an amendment for it to take effect. I agree. It echoes my observation that the German constitution is much easier to change, making it a living constitution and certainly easing the interpretative burden on the highest court. The elected executive and legislative branches have a legitimate interest to update constitutional law according to the people’s evolving moral standards. Right now, that interest is funneled into an unproductive fight over judicial nominations, trying to exert indirect influence over the Supreme Court. It would lead to a much more healthy discourse, and probably to better and more bipartisan judicial nominations, if there was a workable approach (and thus an obligation) for the legislature to discuss and decide these issues directly. Whatever people think of Scalia’s political views (uh, philosophies), the consistency of his views is always refreshing. “Why are candidates silent on Supreme Court?” wonders CNN’s Senior Legal Analyst Jeffrey Toobin. He, too, seems to have noted the absence of the Supreme Court as a presidential campaign topic. But while I did at least offer a feeble explanation rooted in my unwavering belief in chief justice John Roberts’ political mastery, Toobin’s write-up doesn’t even attempt answer his own question. With a little more than a month to go, it’s not too late to ask the candidates to take a stand on their plans for the court. […] [W]hat does Obama, a former law professor, think about the court? […] [D]oes he believe, like Justices Scalia and Thomas, that the meaning of the document was fixed when it was ratified, in the 18th century. By the same token, what kind of justices would Romney appoint? Who are his judicial role models? Really? These are the questions we need to ask? I mean, it’s fine for politicians to pretend that the Supreme Court is apolitical. But the fact is we all know which kind of justices Obama or Romney would nominate. It’s so obvious is doesn’t even make for a rhetorical question. Toobin is right, though, that the electorate seems painfully oblivious to the consequences of these choices. So we don’t have to ask the candidates which kind of justices they would appoint. We have to ask the public what kind of Supreme Court they want for the next 30 years.